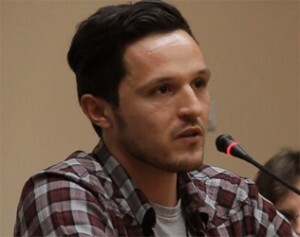 Dionisios Sturis is a Greek-born political scientist, who works as a foreign correspondent for the Polish radio station TOK FM. He is also known for his book, Grecja. Gorzkie pomarańcze [Greece. Bitter Oranges] (2013), which looks at the recent crisis in Greece and explores the idea of Northern European Greek stereotypes through the eyes of the Greek people themselves.